We are a leading Manufacturer of pvc boiler suit and nurse cap from Mumbai, India. We are widely engaged in offering a quality assure collection of PVC Boiler Suit that is widely worn by factory supervisors, industry workers and other personnel in order to protect themselves from any kind of industrial hazard. 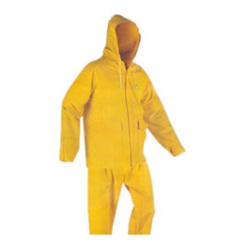 In adherence to the set industrial norms, these boiler suits are designed using high quality PVC and latest technology. Offered boiler suits are checked on various parameters by our quality managers. 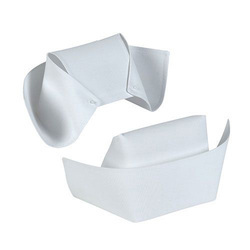 Being counted as one of the leading names in the industry, we are highly engaged in offering a vast collection of Nurse Cap in the market. The given nurse cap is demanded in hospitals & nursing centers, also avoids escape of hair, dandruff and micro-organisms during. This cap is designed by making use of best quality of material in accordance with the set norms. Customers can avail this cap from us in bulk order in a given time frame.